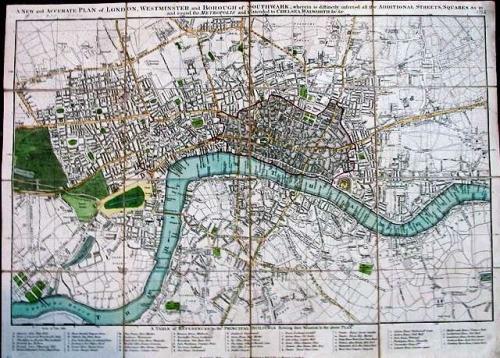 On a scale of 4 inches to the mile the map shows the area of London from Stepney in the east to Hyde Park in the west and Pentonville in the north to Walworth in the south. On this scale the map is very detailed. In the lower border there is a table of references to the principal buildings. The map has been dissected and laid on linen.